Some women think that they can remove cellulite forever with surgery or laser treatments. But is it true? Is the surgery safe? What are the risks? Keep on reading to find the answers to these questions. 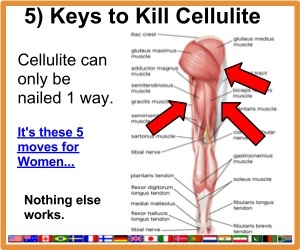 There are many ways of getting rid of cellulite. These ways can be divided into two main categories, namely; surgical/intrusive and non-surgical/non-intrusive treatments. Our focus here will be on surgical/intrusive ways. There are two main cellulite surgery treatments available today. Below is a discussion of each of these treatments. As the name suggests, this cellulite treatment is a laser treatment. During laser lipolysis, a plastic surgeon makes tiny incisions into the treatment area and then places a probe through the incisions. The probe emits a laser beam which melts cellulite-causing fat bulges under the skin. The melted fat is then forced out of the body via the lymphatic system. There are two specialized FDA approved laser lipolysis treatments dubbed Cellulaze and CelluSmooth. These treatments are very popular today because they are minimally invasive and go further than getting rid of fat bulges i.e. they also stimulate collagen growth which results in thicker and more elastic skin. The treatments also require one treatment session only and show immediate results. Although the results have been very promising so far, the treatments are far from perfect. It is important to note that laser therapy treatments for cellulite usually cause bruising as well as swelling which may create the need for compression clothing for the first few weeks during recovery. Also, it’s worth noting that there is minimal data on the long term effects of laser cellulite treatment given the fact that the treatment is relatively new. Also, most patients usually need touch-ups on a yearly basis, so the treatment isn’t as long-lasting as most people are made to believe. As a result, the treatment can be costly. You can also get rid of cellulite through liposuction given the fact that liposuction gets rid of excess fat under the skin. Liposuction is also a common body contouring/shaping technique. The method is suitable among overweight patients with plenty of body fat. It is however important to note that the method may worsen the appearance of cellulite given the fact that it has no effect on connective tissue and dermal fat which play a crucial role in cellulite formation. Liposuction can also damage the lymph vessels and network of capillaries that play a crucial role in maintaining skin health. Furthermore, the procedure usually results in sagging skin, which can worsen the appearance of cellulite. Ideally, the treatment must be complemented by other treatment/procedures to increase the chances of success. The above information summarizes the main cellulite surgery treatments available today. Although the treatments offer a reasonable chance of success, they don’t come without shortfalls. Laser lipolysis may be minimally invasive, but the treatment has its cons i.e. probable bruising and swelling, minimal data on long-term side effects, the need for yearly treatment, etc. Liposuction, also has its cons i.e. may worsen the appearance of cellulite although the treatment might be recommended for obese patients who want to get rid of fat. In a nutshell, these treatments may be worth a try, but there are way better options of getting rid of cellulite i.e. exercising, dieting and taking anti-cellulite supplements i.e. hydrolyzed collagen supplements. The easiest and most certain way of getting rid of cellulite is with the Naked Beauty/Symulast Program. I’m one of those people that never had much cellulite, it’s one of things I’ve never had to think about. However, I know some female friends who do have it and it can be hard to get rid of for sure. What about other natural remedies are there such things that’ll help since the treatments you recommend are somewhat expensive for the average person? You’re so lucky that you have never had much cellulite. I don’t recommend the surgery treatments for cellulite. I’ve written about pros and cons of surgery treatments and in my opinion there are more cons than pros. I recommend cheap and natural treatments that work much better than the surgery. You can read about it here. Interesting. I would rather use natural remedies to get rid of cellulite than taking the risks involved in surgery. Not to mention the costs involved. Like you say I think that diet and exercise are highly effective and safer. Yes, you’re right. Surgery is an unnecessary risk. Thanks for the comment.